Danette Chavis protesting the deaths of people of color while in police custody. On my radio show, I had spoken to Danette Chavis on more than one occasion regarding the Eric Garner case and the larger issue of lack of police accountability when people (usually people of color, but not always) die or are severely injured in the course of ‘normal’ events. Friday marked the one-year anniversary of the death of Garner, and even though it was ruled a homicide, and even though it involved a choke-hold, which has been banned by the NYPD for almost two decades, nobody was indicted for a crime. Heck, the officer doing the chokehold wasn’t even fired. The city has now settled with the family for some $5.9 million. Oh, wait–there has been one person repeatedly charged with crimes. 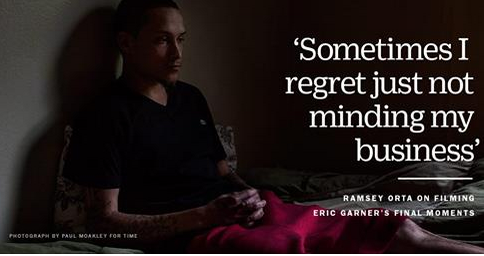 That would be Ramsey Orta, the man who filmed the murder of Garner. He and family members have been repeatedly harassed by the police, and he has once again been arrested on charges that strike many as spurious. When questions about police harassment are arising at ‘mainstream’ media such as Time magazine, it’s hard not to think there’s a vendetta afoot. And as we’re dealing with the anniversary of Garner’s murder and the near-anniversary of the murder of Michael Brown (and the lack of prosecution in THAT case), yet another case has hit the wires. A young Chicago woman named Sandra Bland was arrested and assaulted in Texas while preparing to start a new job at her alma mater. She was found hanged in her jail cell and the local authorities ruled ‘suicide’, a determination that friends and family find inconceivable. Details here. 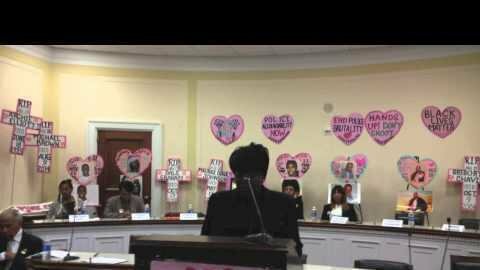 Chavis’ organization, National Association Against Police Brutality, has called for federal intervention in such cases. It’s long past time to get a federal level prosecutor to look into cases of police brutality and murder. It’s clear that local prosecutors have a conflict of interest when investigating such events, and it’s better to have the Feds in charge when these events happen. ← “Faster than Previously Expected”–a fun Google Game!